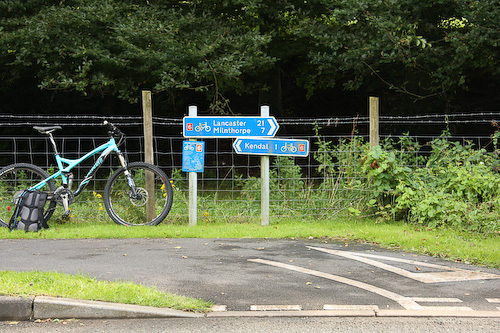 Kendal via Natland to Sedgwick, down to Hincaster and over to Summerlands and back via the Helm, Kendal - Cumbrian Trail Guides - Mountain Bike Cumbria - beautiful trails and information from throughout the Lake District and beyond! 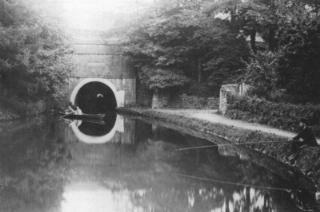 The start/end of this route is at the start of the canal/cycle path at Canal Head. This is near Kendal Ski Club, Recycling Depo and Kendal Castle. 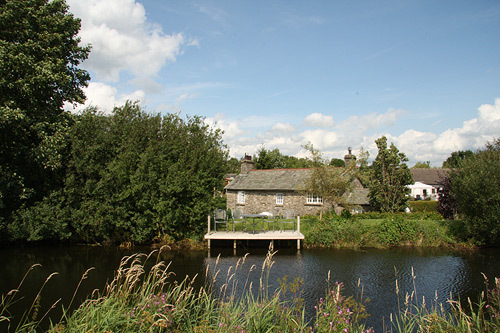 When you are on the Kendal to Lancaster Canal, start heading south, over the main road (A65) and down to Natland Road. Once on the road continue down to Natland, stay on the main road through the village, until after Holmes of Natland, then you need to take the first right down to the farm (Cracalt Farm). Once over the field you will get to an enclosed part of the trail, follow this down, sharp left and then it continues down until you reach the river, watch for the muddy area down here, it can get messy if it's been raining. Through the gate, continue on over the grass field down to the gate at the end. From here it is road for a while. Follow the road down to a T junction, go straight on here until you reach the bridge. At the bridge, take a look at the river and waterfalls around there. 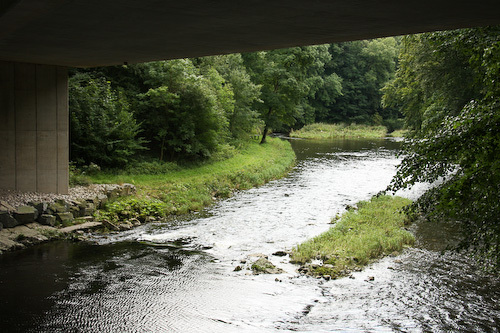 On your way, don't go over the river as you will be heading to the dual carriageway and you can't go on there! Keep going straight on and over the dual carriageway overpass. Levens Park is on the right, just over the bridge. Keep going on this road for about a mile until you reach Tunnel Hill (watch out for this on the left just before Hincaster). 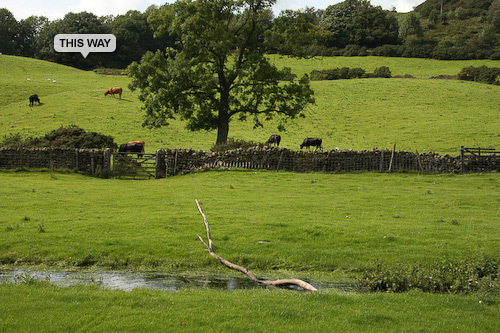 Continue on the road into Hincaster, here take the first left towards the railway. Once you have gone under the railway take the right, you should be going by the side of the railway for a little while. 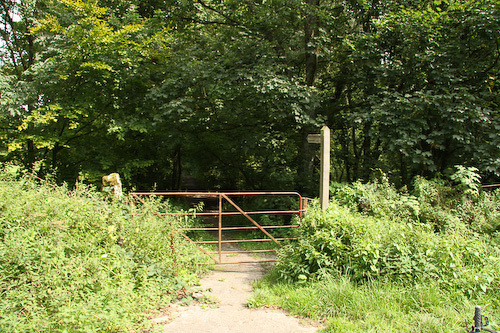 Once at the T junction and railway bridge, go Left and continue on through the little village called Viver, under the dual carriageway and up over the hill until you reach another T junction, you are now at Stainton Bridge End. 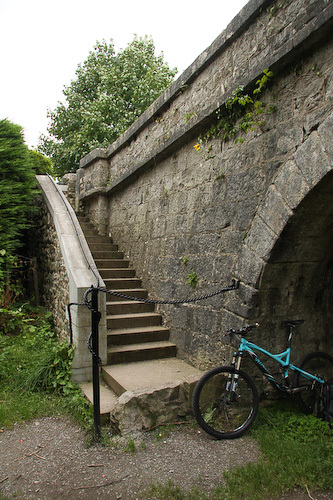 If you go right for a few meters you can find an access route to take a look at the Kendal to Lancaster Canal. Keep on this road, over the bridge and then take the first left up the road with the grass in the middle. Once over the canal bridge at the top go left and continue on until you reach the T junction. Now you have two options, one is a painful adventure and the other is on the road bypassing this section. 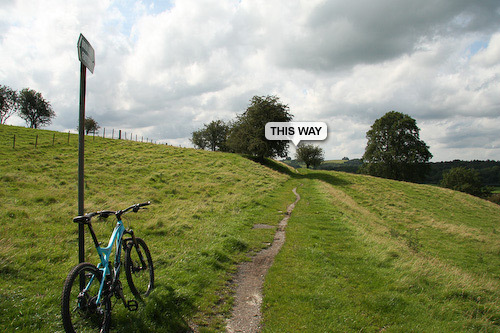 If you choose the "painful adventure" go left at the T junction and follow the road until you get to the farm. 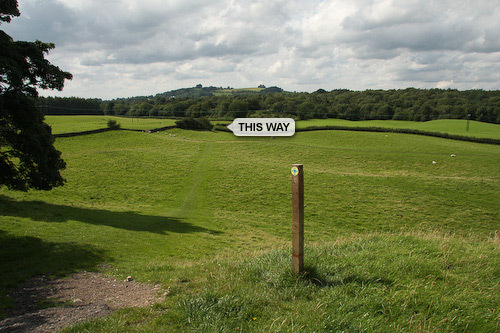 Here it's not well sign posted, but go in the straight on and right direction to get to the not very used public way! Once on here, keep going until you reach a breathing space on the trail, it will open out here for a few meters, go right until you get to the gate and keep on the look out for yet another overgrown trail and continue along that! 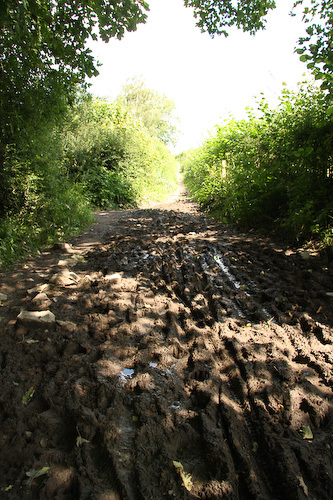 Once you have been through both of these trails, if will open out onto a farm road, go right here and follow this up to a real road, until you reach the main road at Summerlands. If you choose the "road" go right at the T junction, then the next left to the main road. From here be careful on the main road and go left to Summerlands. 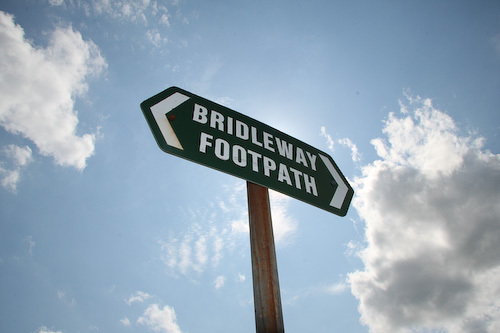 Once you are past Summerlands watch out for the bridleway a few hundred meters on the right hand side of the road. Use this photo on the right for reference. 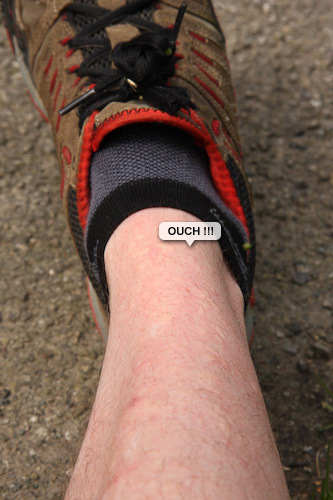 Now if you took the "painful adventure" look at your legs and think ouch! 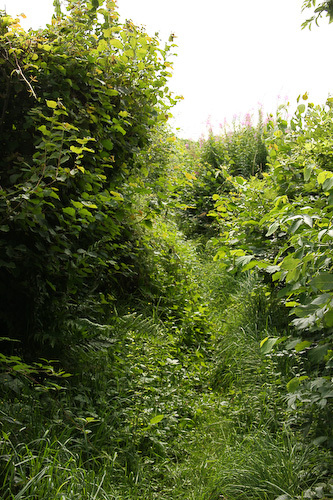 Here the bridleway is nice and open so you can breath a breath of relief. Once through the trees, keep going on the route to the opposite side of the field, through the gate and down the little track to the road. 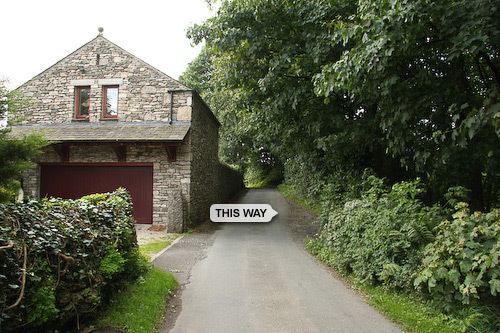 Here go left up the road, through the village of Birkrigg Park, there is a sharp left here on to a road with grass in the middle, continue down and watch out for an opening in the hedge on the right, next to a red garage. 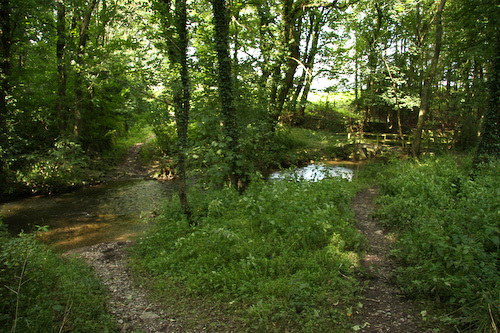 Go down this trail and you have two options, over the bridge or risk getting very wet though the ford. Once over the river follow the trail up and back onto the road. Keep going on this road and take the first right past the dual cul-de-sac sign. 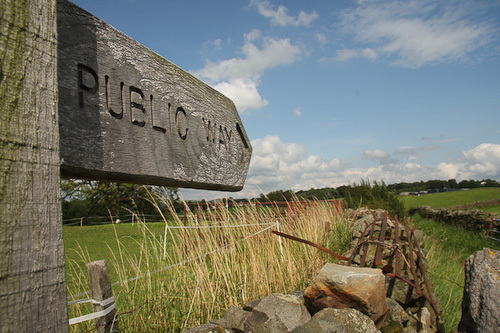 Follow the road through the village and on until you see a footpath sign on the left, just past there is a gate and back onto another bridleway to Helm End. 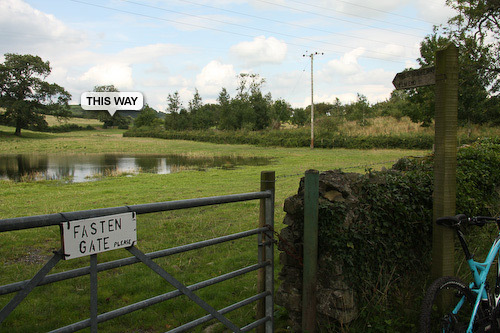 Watch out for the pool of water, so keep to the right of the field and keep going to the top, where there is a gate. Through the gate, keep going and follow the trail left up and over the hill. Over and down the hill you will come to a small river, I suggest following it left until you are parallel with the gate, it is not as deep there. Now though the gate [Warning: Watch out for the bull! There is a sign on the exit gate.] and up the field and up the the gate slightly left from straight up. Through the gate, carry on up and over the road. You are now at the back of the Helm. 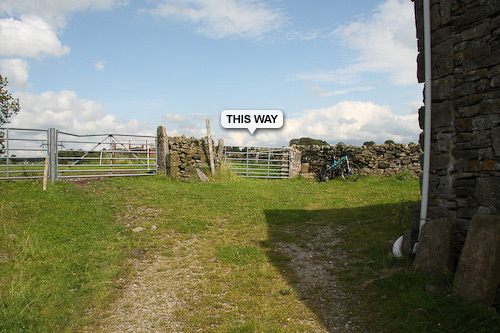 Follow the bridleway along through the trees until you get to the road, this skirts around the Helm and takes you to Oxenholme where if you need a good rest or possibly some chips is the Station Inn on the right of the cattle grid exit to the Helm. 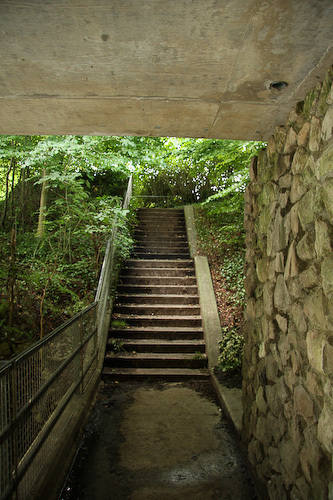 Once you have finished your chips, follow the road down past the station and over the railway. Here you need to continue on the road down to the big set of traffic lights, you will be on the main road here so watch out for traffic. 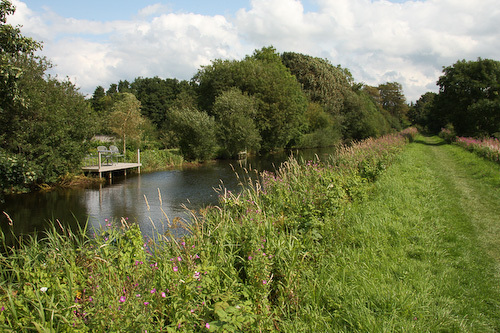 You only need to go a few hundred meters until you find yourself back at the crossing over the A65, make your way onto the middle island or all the way over to the entrance of the canal path. 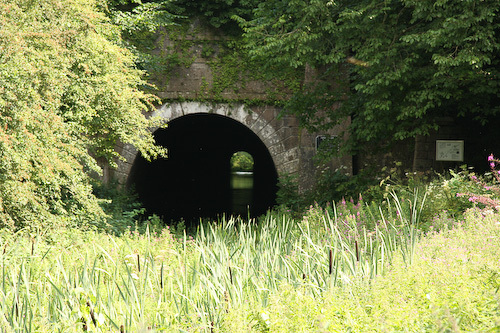 Now you are back on the canal path, keep going until you know where you came onto it and have a careful ride back to home or where you are staying. This trail has been viewed 50145 times!